How much do you really know about the food you eat? It can be laced with pesticides or, in the case of Karachi, toxic waste. 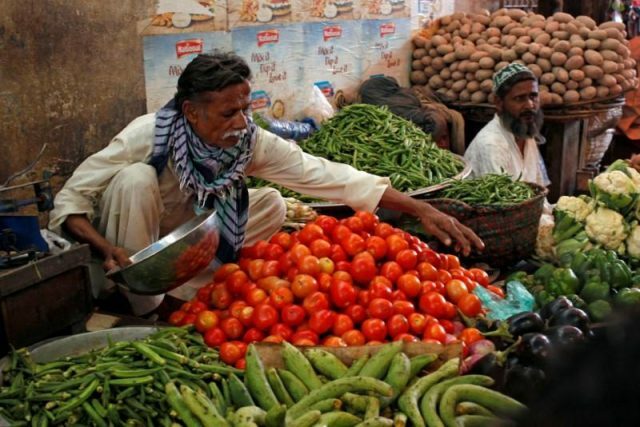 Vegetables grown using the poisonous water of the Malir River have been making the city’s residents sick. Farmers have illegally cultivated 600 acres near the Malir River. The farmers rely on the river to water their crops and grow fruits and vegetables. But the problem is that the river is polluted because factories dump their untreated waste into it. According to experts, vegetables cultivated using contaminated water, like tomatoes, ladyfingers, eggplants and gourds, contain traces of mercury, lead and arsenic. She added that people with weak immune systems are likely to get affected even if they consume toxic vegetables once or twice. However, regular consumption of toxic vegetables can affect a healthy person as well. According to a 2004 nationwide assessment of wastewater by the International Water Association, 26% of the total domestic vegetable production of Pakistan was cultivated with wastewater. This has been practiced since the 1970s. Selling food or drinks that are not fit for consumption is a punishable offence under Section 273 of the Pakistan Penal Code. The Pure Food Ordinance, 1960 also holds a seller responsible for supplying food, including raw vegetables, that are poisonous.